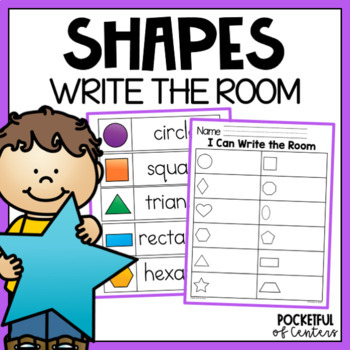 This activity makes an instant "write the room" activity! 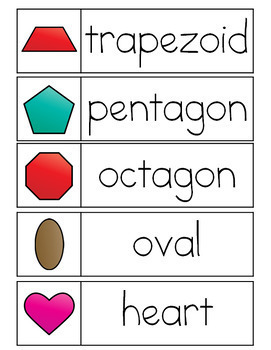 Print the 12 word labels from the shapes word labels and hang them up in your room. 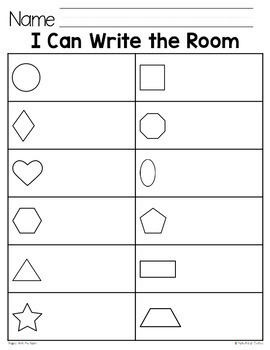 Print the worksheet. Now have the children search the room and write the words! 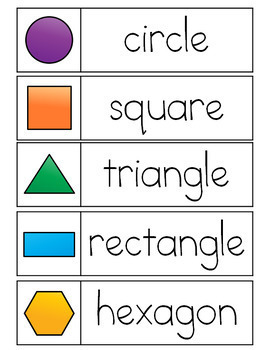 Both options for diamond and rhombus are included.